After several years of stalled progress, the two countries have begun drafting agreements for closer commercial cooperation following high-level meetings in Washington. The United States and Russia have agreed a draft plan for developing trade and investment cooperation, and have also begun drafting an agreement on investment protection, according to Russian Economic Development Minister Alexei Ulyukayev. Speaking to journalists on February 26, Ulyukayev expressed satisfaction with the results of the meeting in Washington, which was attended by a working group under the Russian-U.S. Presidential Commission. Ulyukayev was on a visit to the United States on February 23-26. The itinerary also included his meeting with U.S. Trade Representative Michael Froman and U.S. business circles. “We discussed the bilateral agreements that underpin our relations, especially the outlook for signing an agreement on investment protection,” Ulyukayev said. “I am hopeful that we are approaching the practical phase in preparing these documents.” Ulyukayev added that at present, the proposed draft is being studied by experts. He said that “more will be known” by May. “I think that we will soon be able to present our proposals to the leadership of our two countries,” he told journalists, adding that “a pragmatic solution” must be sought. 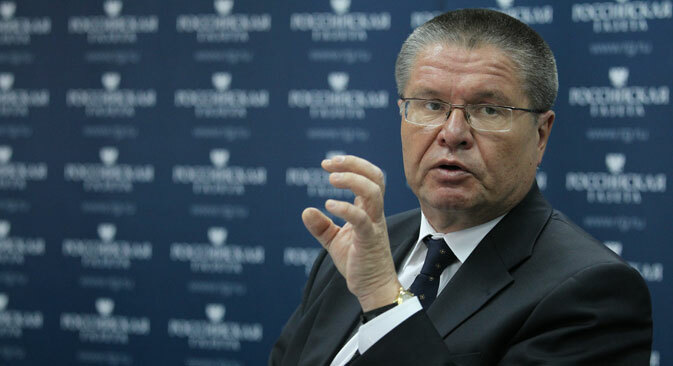 Earlier, in an interview with daily Rossiyskaya Gazeta, Ulyukayev had this to say: “For several years we could not achieve any progress on the issue of signing an agreement on investment protection. Our two sides had their fundamental principles with regard to the form such an agreement should take. We have now submitted to our U.S. partners the concept of such an agreement,” he said. A reset for U.S.-Russian trade? A reset for U.S.-Russian trade? The minister went on to say that during his visit, “the Russian and U.S. partners prepared a plan of action and designated priorities in the area of trade and investment cooperation". “Obviously, we are not happy with the current state of it, and we must make serious progress in this area,” Ulyukayev said. In late 2013 Russia agreed to buy $15 billion worth of Ukrainian government bonds. It has already given Ukraine the first $3 billion tranche of that assistance, and prepared the second $2 billion tranche.